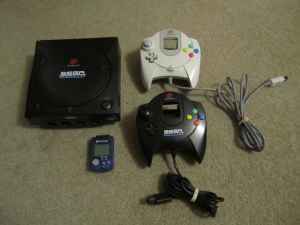 Seattle's Craigslist have a lot of posting for Dreamcast, and they are really cheap. This this one for $35. It seems pretty cheap, maybe the time has not come yet for these to be collector items, they are too new (9/9/99). For the ones who are interested, games are really cheap also, and Crazy Taxi or MSR are still classics.